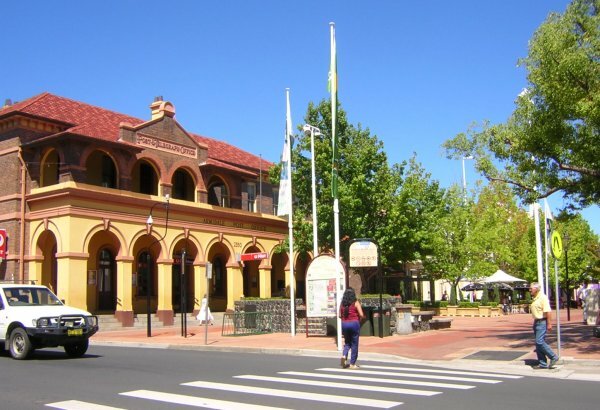 This page serves as an introduction to the major towns in the Northern Tablelands. In addition to a general overview of each town’s geographical location, prominent industries and other relevant information it will attempt to provide an historical insight into the social and commercial infrastructure of each town prior to and during the pub rock era. The Northern Tablelands is a plateau on the Great Dividing Range in northern New South Wales, Australia. The largest highland area in Australia, covering approximately 18,197 square kilometres, it includes the New England Range, the narrow highlands area of the New England region, and stretches from the Moonbi Range in the south to the Queensland border in the north. Its altitude ranges between 970 and 1,110 metres above sea level. The region is known for its agriculture, gem fossicking, magnificent national parks, pleasant cool climate and unusual rock formations. 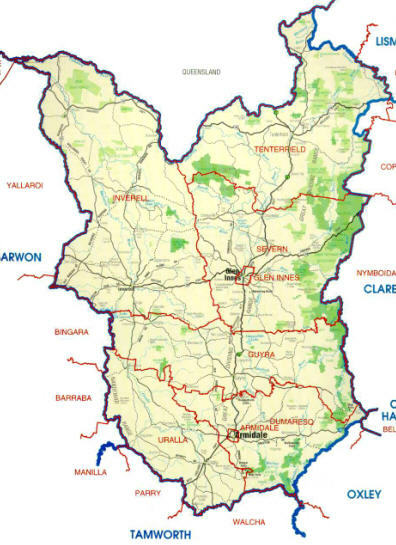 The major towns in the Northern Tablelands are Armidale, Glen Innes, Tenterfield, Uralla, Guyra, Walcha, Inverell, Tingha. The Walcha area was the first area of the Northern Tablelands to be discovered by white explorers – this being John Oxley, who travelled through the area in 1818. Soon afterward a number of settlers began establishing their presence north of the Moonbi Range, including, Edward Gostwyck Cory who settled near Uralla. By the 1850s there were almost half a million sheep and forty thousand head of cattle on runs spread out to the north of Armidale. The Northern Tablelands currently has more than 2,000 agricultural establishments producing agricultural commodities valued at more than $220 million. Areas around Armidale, Uralla and Walcha are noted for their superfine wool. Gold and antimony are mined at Hillgrove, while Inverell is noted for its sapphires. Lockheed Martin operates a satellite tracking dish near Uralla; Guyra produces prime lambs, potatoes, tulips and glasshouse tomatoes; while apples, pears and other stone fruit are grown at Kentucky and Arding. 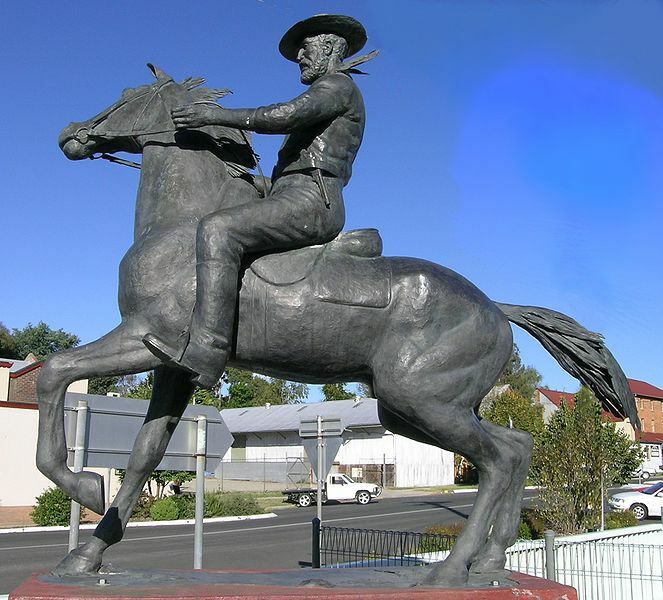 Among the region’s most famous historical figures are the bushranger Thunderbolt and entertainer Peter Allen. Named after Armadale on the Isle of Skye in Scotland (but given a slightly different spelling), Armidale was first settled in the early 1830s. This followed the exploration of the area by John Oxley. Proclaimed a city in 1885, it is located approximately half way between Sydney and Brisbane at the junction of the New England Highway (National Route 15) and Waterfall Way. The closest towns, villages or communities include Uralla, Guyra, Hillgrove, Dangarsleigh, Puddledock. Ebor and Rocky River. A university and cathedral city situated in what is now known as the Armidale Dumaresq Shire, Armidale is also the administrative centre for the Northern Table-lands. While its population has typically stayed around the 18-20,000 mark since the 1970s, this fluctuates quite markedly in response to university and school holidays. The 2006 Australia Census records the population as of 10 August at 19,485 people. Almost 30% of Armidale’s total population is in the 10-24 year age group, compared with an equivalent NSW figure of only 19.4% (2001 Census). The city is not surprisingly home to a large number of education facilities, including The University of New England (see below). The city’s secondary schools include three independent colleges – New England Girls’ School (1895), The Armidale School (1894 – formerly the New England Proprietary School), and the Presbyterian Ladies’ College (PLC, 1887). 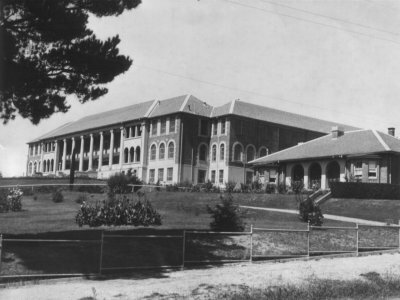 The other secondary institutions are O’Connor Catholic High School (1974 – formerly De La Salle College); and two state schools – Armidale High School (1911) and Duval High School (1972). There are also more than a dozen primary schools, including Montessori and Steiner schools. The key venues for live music in Armidale during the 1970s and 1980s were the Great Hall and Bistro (UNE), the Imperial Hotel, Armidale Town Hall, the New England Hotel, and from the late 1980s the Armidale Musicians’ Club. The University of New England (UNE): The first Australian university to be established outside a capital city, The University of New England’s history stretches back to the 1920s. It was not officially founded until 1938, however, and then only under the auspices of The University of Sydney (as the New England University College. It became fully independent in 1954. Situated on a large expanse of land a few kilometres north-west of the Armidale CBD, the campus houses a number of student colleges: Austin, Earle Page, Drummond and Smith (formerly just Drummond), Wright (1958-1995), Mary Wright, Robb and Duval. In 1989 the University of New England amalgamated with campuses in Lismore and Orange to operate as a three campus version of U.N.E. The amalgamation lasted until 1993 when U.N.E. reverted to the Armidale based organisation. Armidale Teachers’ College / College of Advanced Education: The Armidale Teacher’s College was established in 1928. The first institution to be established outside the Sydney metropolitan area to train country teachers for country service, it was built on the site of the Armidale Gaol (1859-1920). The College played a significant role in the establishment of the University College of New England in 1938, leading to the establishment of the University in 1954. Student accommodation was provided through Smith House, located at the corner of Dangar and Barney streets (opposite Central Park). The Armidale Teacher’s College became the Armidale College of Advanced Education in 1974. It was absorbed into the University of New England in 1989, with the college becoming a satellite campus. Images: Armidale Teachers’ College photo courtesy of the University of New England • Armidale Mall photo courtesy of Online Encounters Pty Ltd • View from the Armidale Lookout by Clay Djubal (2009). Known as the Celtic capital of Australia, Glen Innes lies 1,062 meters AHD and is situated at the intersection of the New England and Gwyder highways. It is also at the centre of the Glen Innes Severn Shire Council. The 2006 Australian Census indicates that the population of the town was then 5,944. The district usually has mild to warm summers, while the winters are often cold, windy and with regular frosts and snowfalls (although the snow doesn’t frequently settle). Nearby villages are Deepwater, Torrington, Ben Lomond, Wellingrove, Glencoe and Red Range. Archibald Boyd registered the first run in the Glen Innes district in 1838 after having been introduced to the area by two stockmen known as ‘the Beardies’ (in reference to their long beards). ‘The Beardies’ later showed other squatters around the district and it became known for a period as the Land of the Beardies or Beardie Plains. A community was eventually established and in 1852 the town of Glen Innes was gazetted, with the first lots being sold in 1854. The name is believed to have chosen in honour of Major Archibald Clunes Innes. The boom years for Glen Innes were during the late 1800s, after tin was discovered at nearby Emmaville in 1872. By 1875 the population had swelled to about 1,500 and the town had a two teacher school, three churches, five hotels, two weekly newspapers, five hotels, seven stores and a variety of societies and associations. 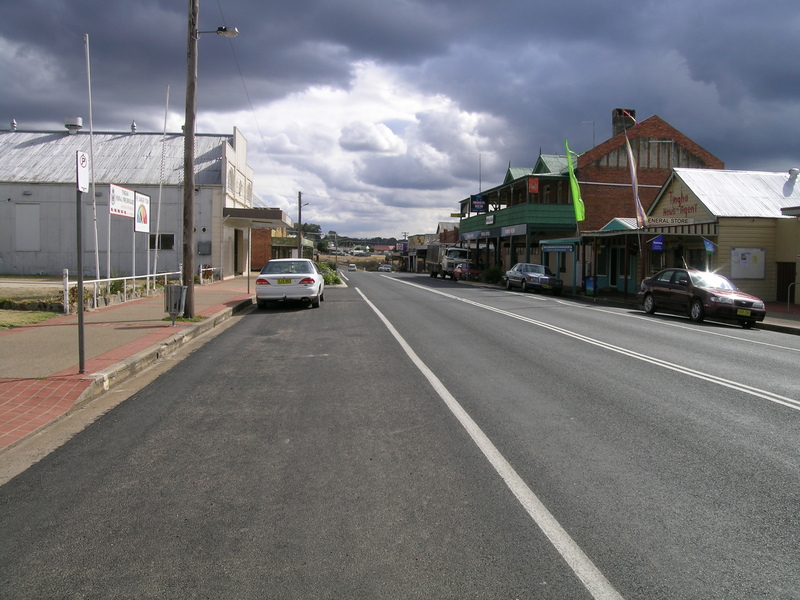 Guyra is situated on the New England Highway approximately halfway between Armidale and Glen Innes. The 2006 Commonwealth census indicates that the town’s population was then 1,758. One of the highest towns in Australia, at 1,330 metres above sea level, Guyra is known for its extremely cold winters (by Australian standards). The district was opened up by white settlers around the mid-1830s. The first to establish a permanent presence in the area was Alexander Campbell in 1835. His Guyra Station originally encompassed the land where the town lies. The first church in the district was built in 1876 and the Great Northern Railway finally extended to the town in 1884. Guyra was proclaimed a village in 1885. Dairying was the dominant industry during the late 1800s, but was later overtaken by potato growing. Other main industries include sheep and cattle, tomato growing. The town was also home to a large regional abattoir that employed up to 350 staff until it closed in 1995. The abattoir building now houses an angora rabbit breeding farm. Guyra became the focus of national attention in 1960 when a four year old boy named Steven Walls wandered away from his parents’ property and became lost. Hundreds of volunteers searched the bush for four days until he was discovered asleep against a log. Walls’ first words to rescuers, ‘Where’s my daddy? became part of the folklore. Singer Johnny Ashcroft wrote a hit song called ‘Little Boy Lost,’ and the title was later used for a film based on the incident . The producers chose the district to make the film and many local people appeared in minor roles and crowd scenes. 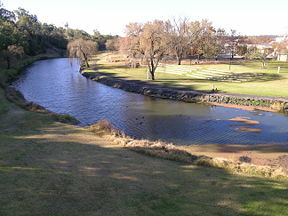 Inverell was settled on the Macintyre River and lies on the western slopes of the Northern Tablelands. The administration centre for the Inverell Shire, it is located on the Gwydir Highway 67 km west of Glen Innes, 141 km east of Moree, and is a distance of 120 km from Armidale. At 583 metres above sea level it has a temperate climate ideally suited to growing a wide range of crops, including wheat, wine grapes, maize and barley. Inverell’s 1954 population of 7,514 had by 1961 risen slightly to 8,209. While the 2006 Census records that the town’s population was then 9,749, the Inverell Shire Council’s website indicates that there has been an increase of over 2,000 people to 2009. The overall district population is said to be around 15,000 (ctd. “Community – Statistics and Facts”). 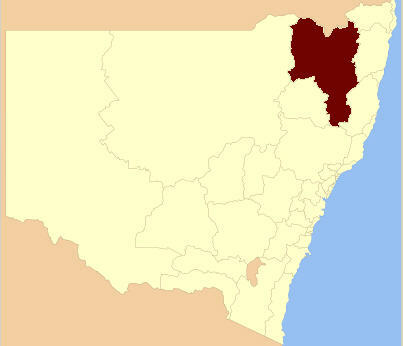 Nearby townships and villages include Tingha, Warialda, Bingara, Ashford, Oakwood and Delungra. The name Inverell is derived from two Gaelic words (‘inver’ and ‘Ell’) and means ‘meeting place of the swans.’ It was first used by Alexander Campbell in the late 1840s as the name of his 50,000 acre station. The area was also referred to in the 1850s as ‘Green Swamp.’ A township was surveyed in 1858 along the bands of the Macintyre River and land was offered for sale shortly afterward. It was proclaimed a municipality in 1872. Inverell is known as the ‘Sapphire City’ because of the sapphires that found throughout the local district. Diamonds were first discovered at nearby Copes Creek in 1875 and were mined at Copeton from 1883-1922. Commercial sapphire mining did not commence, however, until 1919 at Frazers Creek near Inverell. Rich alluvial deposits in the district’s streams were worked initially by hand miners but there was little recorded production up until around the late 1950s/early 1960s. The principal fossicking areas near Inverell are Chatham, Elsmore, Stannifer Creek, Wallangra, Staggy Creek and Nullamanna. Entertainments during the early decades of the twentieth century were often held in either the School of Arts (built in 1906) or the Town Hall. One of the key venues for live music between 1970 and the mid-1990s was the Inverell RSL Club. Arguably the best known performer to have been born at Inverell is Gary Shearston, best remembered for his hit cover of the Cole Porter classic, “I Get a Kick out of You.” Born in 1939 Shearston left as a small child to live for several years in Tenterfield. He later became a leading figure in the emerging Australian folk music scene. [See Northern Tablelands Entertainment History and Industry Overview, Section 1 for further details]. Image: Macintyre River photo by C. Goodwin (Wikipedia, 2008). Situated at the intersection of the New England and Bruxner highways, Tenterfield lies in a valley and is approximately two hours drive from Armidale (to the south) and Lismore (to the east). The town can also be reached from Brisbane in approximately three hours. The local geography is dominated by prominent granite inselbergs and mountains, the most famous being Bald Rock in the Bald Rock National Park). The main industries in the Tenterfield district are beef cattle breeding and wool (largely from Merino sheep). There are also ten State Forests in the Tenterfield district covering 7540ha. The 2006 Census indicates that the town’s population was then 3,172. The indigenous inhabitants of the area known as Tenterfield were the Jukembal people who travelled the area from near Glen Innes to Stanthorpe in Queensland. The first prominent white settler in the area was Sir Stuart Donaldson, who established his Tenterfield Station in 1841. The property ran some 18,000 sheep. Donaldson later became New South Wales’ first premier. The township was gazetted in 1851 with the first allotments being sold in 1854. By 1870 the population had grown to 900, and the town had a newspaper (The Tenterfield Chronicle), a district court, hospital, public school, a school of arts, three churches and five hotels. The existing Tenterfield Post Office was constructed in 1881. The railway opened to Tenterfield in 1884 and two years later extended to the Queensland border at Wallangarra. 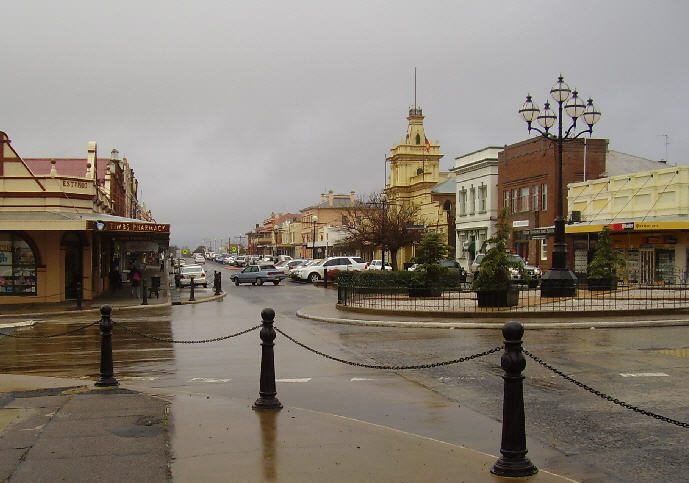 The Tenterfield area is served by a community radio station Ten FM, and a local newspaper The Tenterfield Star. The newspaper was once owned by solicitor J.F. Thomas, who during the Boer War served as a major and became famous for his vigorous defence of Harry Breaker Morant. Tenterfield’s other famous ex-resident was entertainer Peter Allen. The grandson of George Woolnough, the town’s third saddler, Allen was born and raised as a small child in the town. He later immortalised both it and his grandfather through the song ‘Tenterfield Saddler.’ Another famous connection was A. B. ‘Banjo’ Paterson, who married his wife Alice Emily Walker (of Tenterfield Station) in St Stephen’s Presbyterian Church, Tenterfield. Although not born in Tenterfield, Gary Shearston (“I Get a Kick Out of You“) lived on his grandfather’s farm for a number of years during and after the Second World War. His family moved to Sydney in the early 1950s following the devastating Northern NSW drought. He later evoked his rural childhood in the song ‘Shopping on a Saturday’. [See Northern Tablelands Entertainment History and Industry Overview, Section 1 for further details]. The small town of Tingha is situated 30 kilometres south of Inverell (and some 630 kilometres north-west of Sydney). The name is derived from the original inhabitants of the area, the Anaiwan people, and means ‘flat’ or ‘level.’ The town sits at an elevation of 780 metres above sea level and as of 2006 comprises a population of around 890 people. Tingha’s neighbouring communities are Bundarra, Elsmore, Gilgai, Inverell, Old Mill, Stannifer and Wandsworth. Tingha was first settled in 1841 by Sydney Hudson Darby. Its heyday period was in the 1870s following the discovery of tin. A commercial mine was established at nearby Armidale Crossing within a year, and by 1872 the township boasted a population of more than 6,000 people, with more than 25% of the miners being Chinese. The village was proclaimed a town in 1885, with the first school being established by the Sisters of St. Joseph in 1890. The main industry today is agriculture. Tin dredging and mining has continued on a scale that varies according to international price fluctuations. The area is also noted for being a good gem fossicking opportunity. 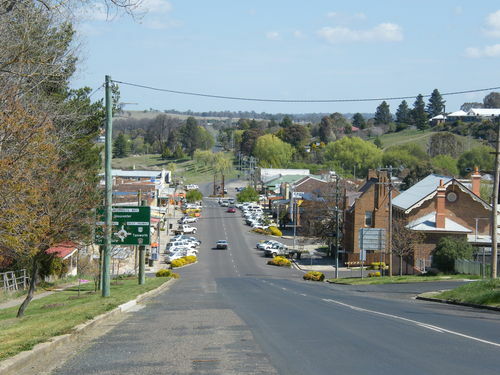 The township of Uralla is located 23 kilometres south of Armidale at the intersection of the New England Highway and Thunderbolt Way (a 322 km road linking Gloucester with Inverell). 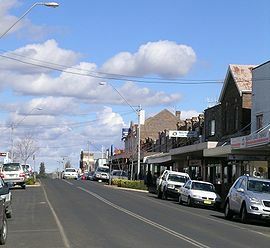 The word ‘uralla’ comes from the local Aniwan tribe of indigenous Australians and means a ‘meeting place,’ or more particularly – ‘a ceremonial meeting place and look-out on a hill.’ At more than 1,000 feet above sea level Uralla, as with Armidale has cold winters and generally mild summers. According to the 2001 Australian Census, the population of Uralla in 2001 was 2,304. Among the first white settlers to establish themselves in the area were Irishman, Samuel McCrossin and his family in 1841. McCrossin had travelled through the area some two years previous. Other settlers arrived during the 1840s, taking up holdings at Kentucky, Gostwyck, Balala, Yarrowyck, Mihi Creek and Salisbury Court. 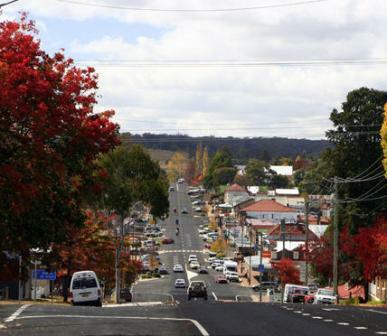 Uralla was gazetted a town in 1855 following the discovery of gold in the nearby Rocky River three years earlier. At its peak the town’s population reached more than 5,000, and by the end of the 1850s it had three hotels, a post office, a flour mill and a school. In 1882 Uralla was proclaimed a municipal district. More gold was discovered in the nearby Enmore area in 1887 and two years later at Groses Creek, east of Uralla. Along with tourism, three foundries provide major employment opportunities in Uralla. The area is recognised for its Merino sheep, which provides the super-fine and ultra-fine wool which is highly regarded in the fashion industry. The district’s cool climate is well-suited for growing fruit such as apples and grapes, which has led to the establishment of several vineyards. The town also has a strong community of artists and potters. Uralla is perhaps best known for its association with the infamous bushranger Frederick Ward (aka Captain Thunderbolt) who is buried in the local cemetery. After escaping from Cockatoo Island with the help of his wife Mary Ann Bugg, Ward committed 200 or more crimes over six and a half years across the northern section of the state of New South Wales. He was eventually shot dead near Uralla on 25 May 1870 by Constable Alexander Walker. He was at the time attempting a highway robbery. A series of nine paintings by Phillip Pomroy which depict the legend of Thunderbolt are exhibited at McCrossin’s Mill Museum. Key venues for live music entertainment in Uralla during the 1970s and 1980s included the Coachwood and Cedar Hotel/Motel and the Uralla Golf Club. Situated on the Aspley River at the south-eastern edge of the Northern Tablelands, Walcha is both a town and a parish, and serves as the administration centre for the Walcha Shire. Laying at the intersection of the Oxley Highway and Thunderbolt’s Way it is some 54 kilometres south of Armidale (and roughly 425 miles north of Sydney). At an elevation of 1,067 metres above sea level Walcha has a mountain climate, with the temperature generally ranging from -2.0 to 12 °C in winter (snow is not unusual) to 12.0 to 25 °C in summer. Nearby villages are Niangala, Nowendoc, Woolrook, Glen Morrison, Brackendale, Ingalba, Tia and Yarrowitch. While the first white explorer to the area was John Oxley in 1818, the region was originally inhabited by the Ngayaywana and Dyangadi people. The first settler in the area, and indeed the first to settle in the Northern Tablelands, was Hamilton Collins Sempill, who established the “Wolka” run in 1832. Construction on the ‘wool’ road to Port Macquarie (later the Oxley Highway) began in 1842, and by 1851 a postal service was established. Walcha was gazetted as a village site in 1852, with town allotments being sold shortly afterwards. By the mid-1850s the village had a blacksmith’s shop, general store, flour mill, Catholic chapel, police station and a Presbyterian church (1857). The Walcha National School was built in 1859. By 1861 the village’s population was 355, and the following year an Anglican church was erected. Walcha was eventually proclaimed a town in 1878, and a municipality in 1889.Walcha’s major industries include livestock grazing (notably Merino sheep), a dairy and timber. 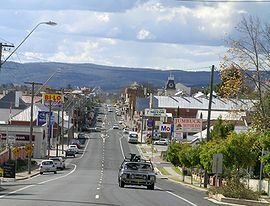 The town’s population as of the 2006 Census was 1,623, with the Walcha district’s population comprising 3,304 people overall.